Unless your business is stuck in the pen & paper generation, chances are you deal with lots…and LOTS of email on a daily basis, to the point where your Inbox is bloated and out of control, causing your email client, and even your mail server, to run frustratingly slow. The solution is to implement an archiving solution such as MailStore.With MailStore, all those emails that pile up on the server from users wanting to keep every email sent and received can be safely tucked away in an archive and removed from the server after a period of time, freeing up space on the server and improving performance. But the benefits of an archiving solution don’t stop at performance improvements. MailStore can help make your life easier by providing tools for easy searching of messages and attachments, storage efficiency with compression and de-duplication (meaning if multiple copies of the same message exist on the server, only one copy needs to be stored in MailStore), and status reports to keep administrators informed of the status of their archives. Learn more about these three ways MailStore can help make your job easier from our latest video! Start archiving your email today. Click here to download your 30-day free trial of MailStore! MailStore 10 – With Full Encryption, Automatic Updates, and More! Our friends at MailStore have been hard at work to make their email archiving solution more secure while providing more flexible administrative features. With the release of MailStore version 10, users and administrators benefit from the following improvements. MailStore has always stored archived email in encrypted format, but now, they take encryption a step further by encrypting the internal databases and audit logs. Now, in addition to the messages themselves being encrypted, metadata such as message subjects, senders, and recipients are also encrypted, as well as the archive folder structure. MailStore now allows you to use a specific recovery key to prevent archive data from being accessed from other systems by unauthorized users. This is useful in situations where cloud storage backup locations are used. MailStore now includes an automatic-update feature that notifies the administrator when a new version is available. This helps to ensure that you can always benefit from the latest feature set. Administrators now have more options when configuring archive stores. Each component of an archive (email content, search indexes, databases) can now have its own storage location. These are just the highlights of MailStore’s new features. 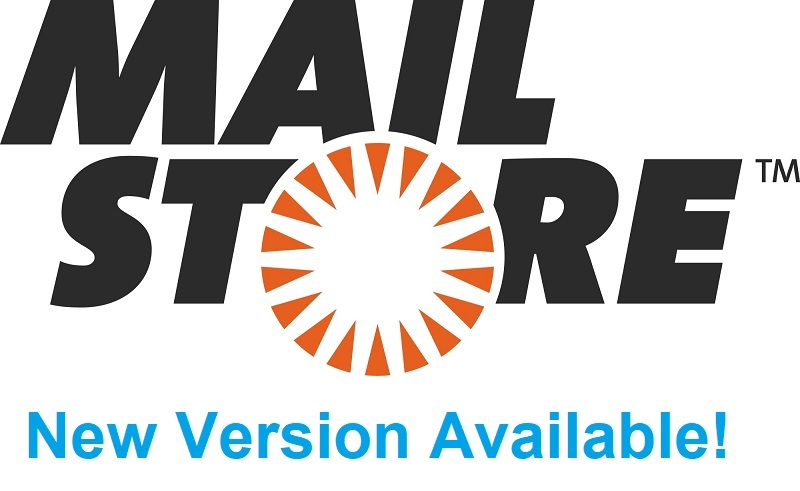 To benefit from all of its new features and enhancements, download MailStore 10 today! MailStore 9.5 is now available. New features include improved Autodiscover support and various fixes. Click here for a complete list of updates. MailStore and MDaemon work seamlessly together to archive all mail into and out of MDaemon. Archive profiles can be created to archive only specific mailboxes, and archive processes can be further fine-tuned for your specific environment. You can learn more about MailStore’s many features and benefits on our MailStore product page, or click here to download your free trial! MailStore 9.2 has been released, with new features such as a powerful job scheduler that is completely integrated & eliminates the use of external tools such as Windows Task Scheduler, an optimized message list in MailStore Web Access and the Outlook add-on, and many more improvements. More information can be found in the MailStore press release. Visit our MailStore product page to learn more, or click here if you’d like to try MailStore for free.